Baking Cherry-Vanilla Clafoutis on the grill lends a delicious and unexpected smokiness to the simple French dessert, while whole-wheat flour provides a nutty kick to this otherwise-classic recipe. Want to move this indoors? 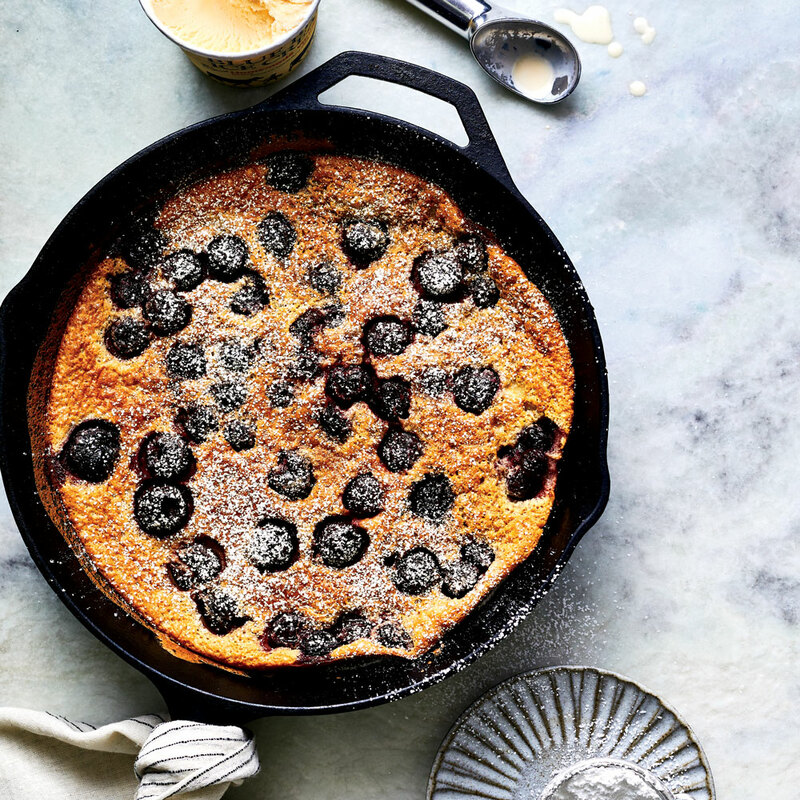 This clafoutis can be baked in a 350°F oven for the same amount of time. Preheat a gas grill to medium (about 350°F) on one side, or push hot coals to one side of a charcoal grill. Place butter in a 12 -inch cast-iron skillet; heat skillet on grill until butter is melted, about 10 minutes. Combine eggs, granulated sugar, half-and-half, flour, vanilla bean seeds, lemon zest, and salt in a blender; puree until very smooth. Pour batter into preheated skillet, and immediately arrange cherries on top. Grill, covered, until custard is set, 30 to 35 minutes. Remove from grill, and let stand 15 minutes. Dust with powdered sugar, and serve immediately.